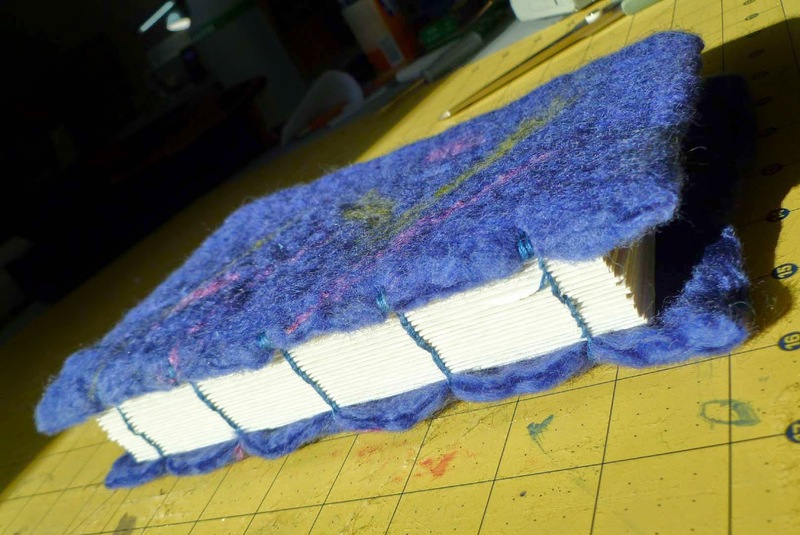 This post is an intro to the new tutorial on making your own sketchbook. I won't be showing any of the tutorial since you can find it's tab under the header above. 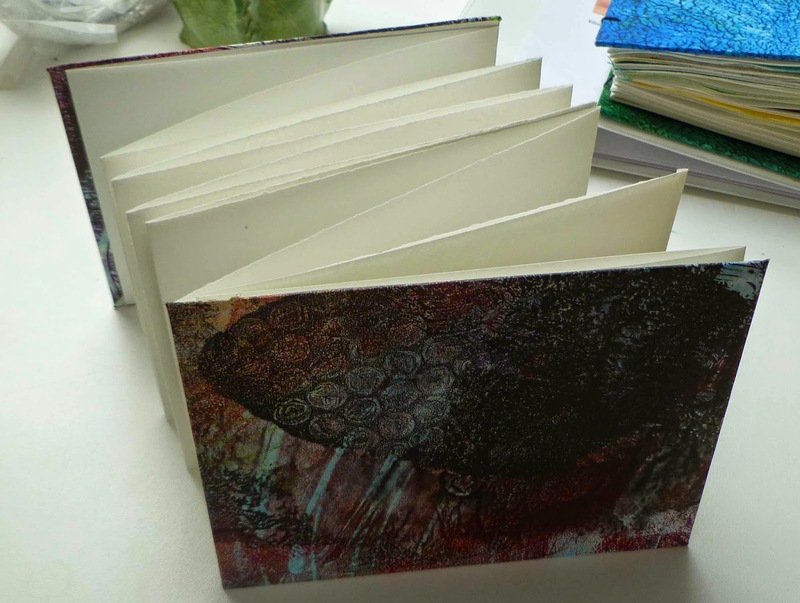 What I am going to show are a few, certainly not all, of the sketchbooks that I have made. In Maine we used to have a lot of "shoe shops" where shoes were handcrafted and hand stitched. The end result of the closings of all these shoe shops is a lot of leather. 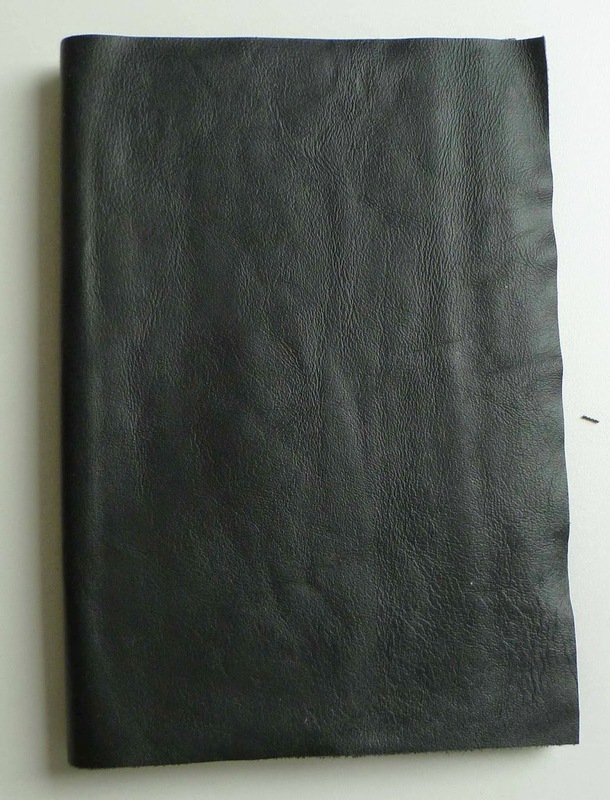 I have trash bags filled with leather so I thought I would cover a few sketchbooks. The 8 with a line through it is my "mark". It is supposed to represent back to back B's. 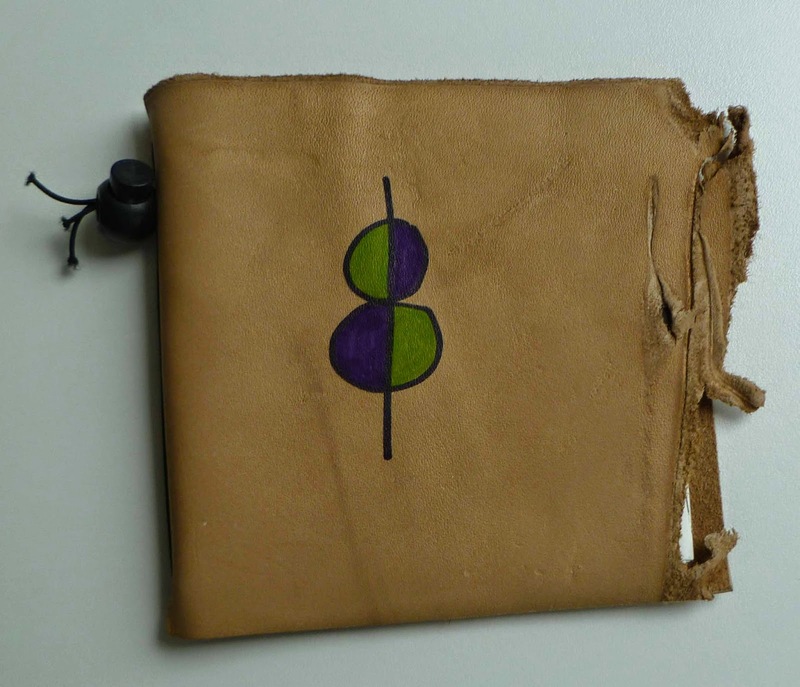 This book is made with watercolor paper and has an elastic fastener knotted inside the back cover for easy closure. This is a small purse sized sketchbook for when I am out and about and find myself waiting or seeing something I need to sketch. This is a sketch done while waiting for Brian. This is a signature being removed. This way I can keep the cover and just replace the signatures (4 pages each) which can later be incorporated into a bound book. 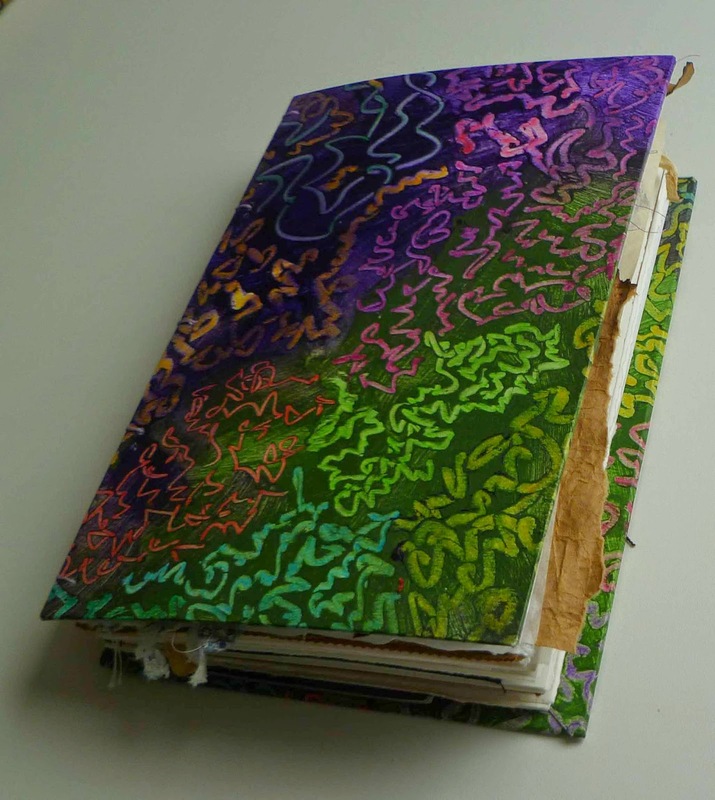 This is the first sketchbook I made. 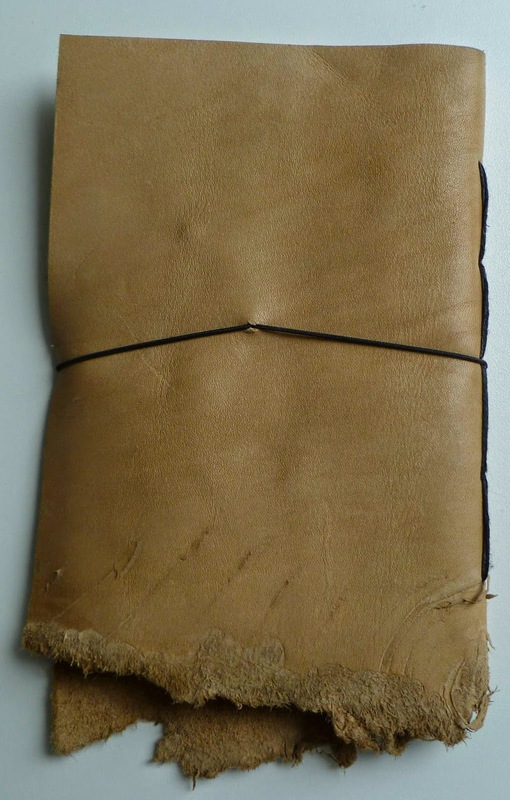 It has a leather cover with the "book" part glued into the front and back covers. I used sketch paper, tracing paper, and brown paper. 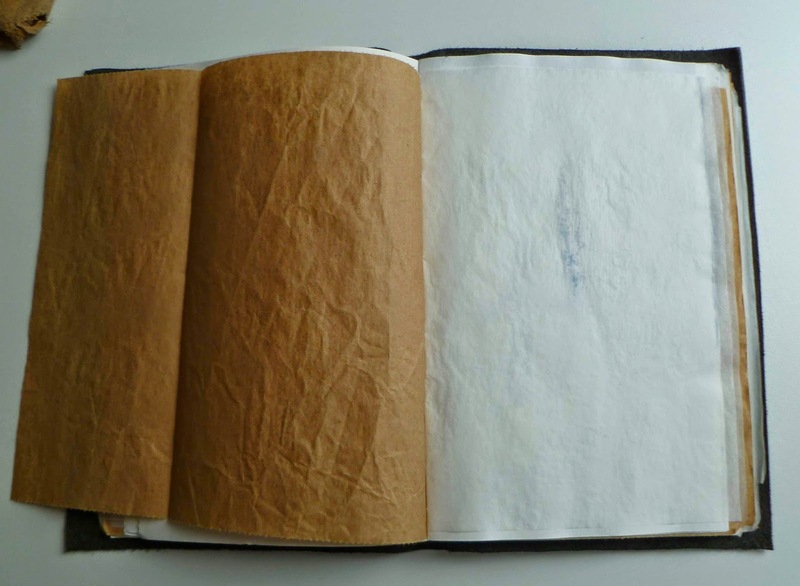 Some of the brown pages were made to fold out double width. 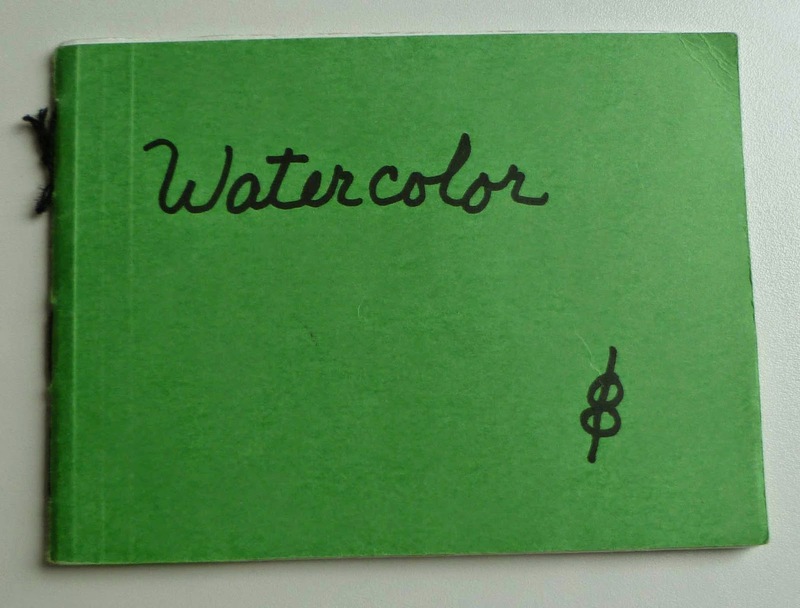 This book ( below) is the one I used for samples of my surfaces or grounds. You remember this one. This is the current one that is pages from being filled. 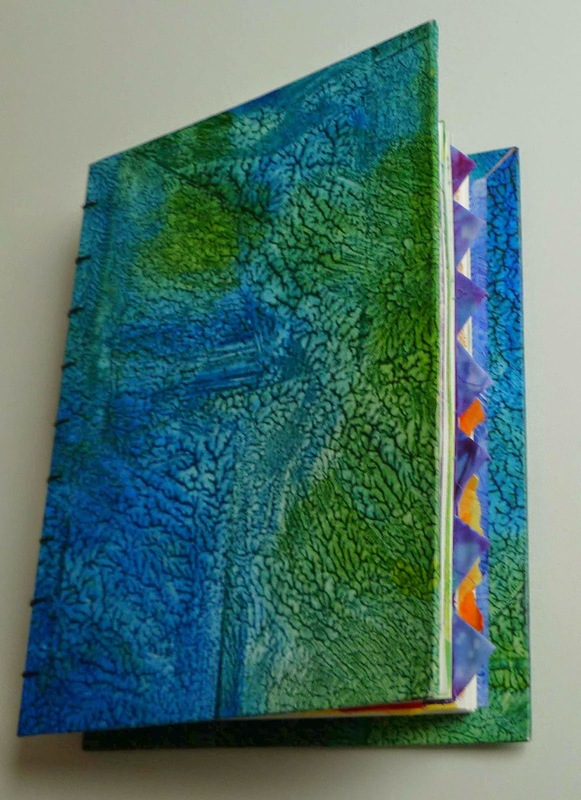 This was a gift from Judith and has double coptic binding. 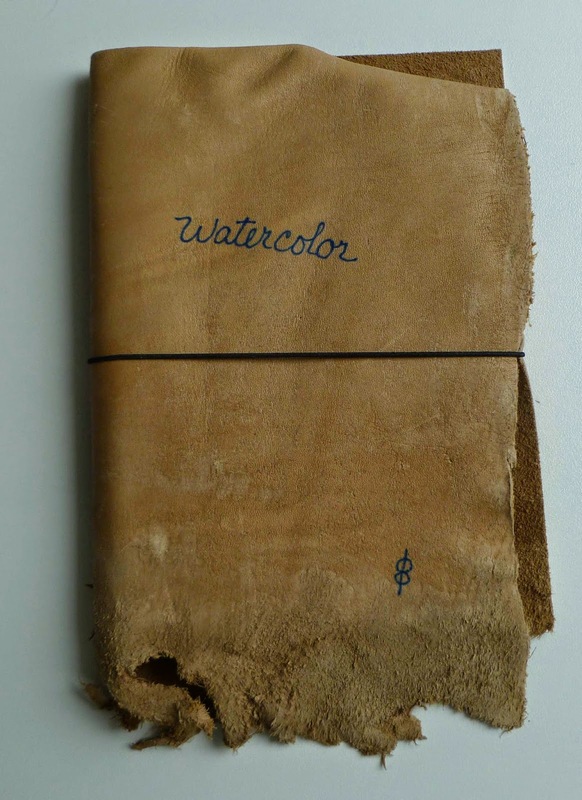 An older watercolor book with the stitching right through the leather. I must have given this away because I can't find it. Very nice? Hope whoever has it is enjoying it. This was a felted purse I made in a workshop Judith and I attended on Deer Isle. I ended up cutting it open and using it to cover a sketchbook. This was a gift for a friend who lives in Arizona. I really like this closure. Well, I guess that's the end of the fashion show. 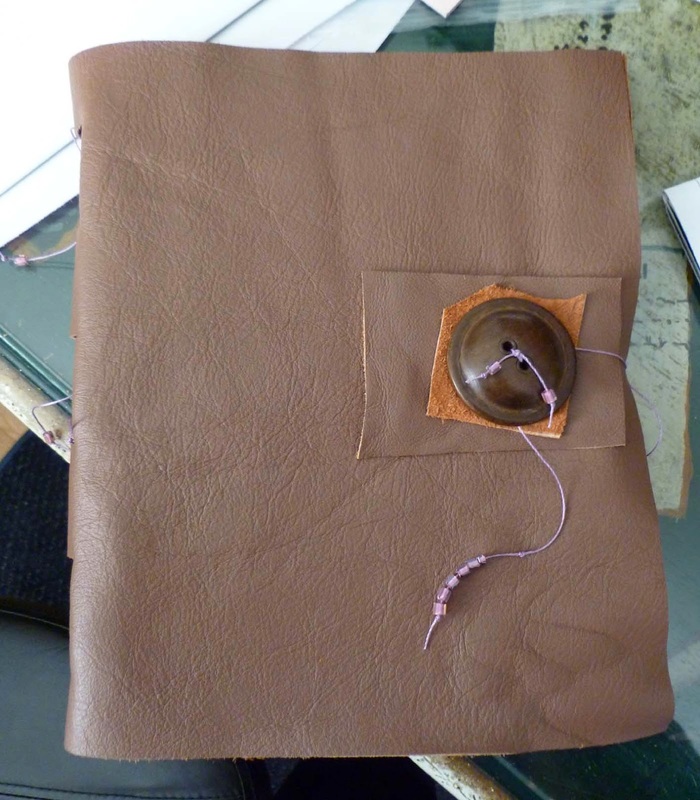 For those of you who suffered through it, you now have a chance of getting one the sketchbooks I made for the tutorial. 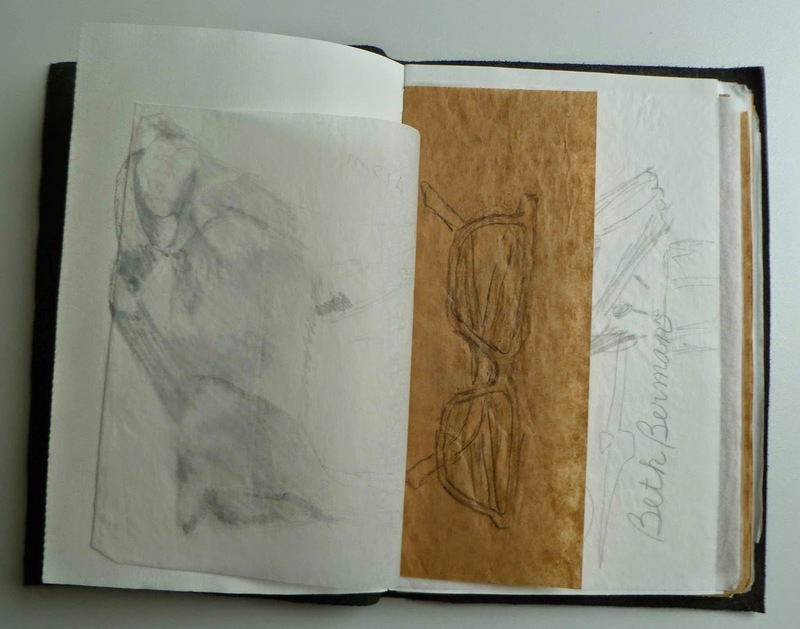 One is coptic bound and the other is a great accordion traveling sketchbook. Leave a comment and which sketchbook you want. Coptic left and accordion travel book right. Beth - your books are fabulous! I shall be checking out your tutorials. All your books looks beautiful thanks for your tutorials. 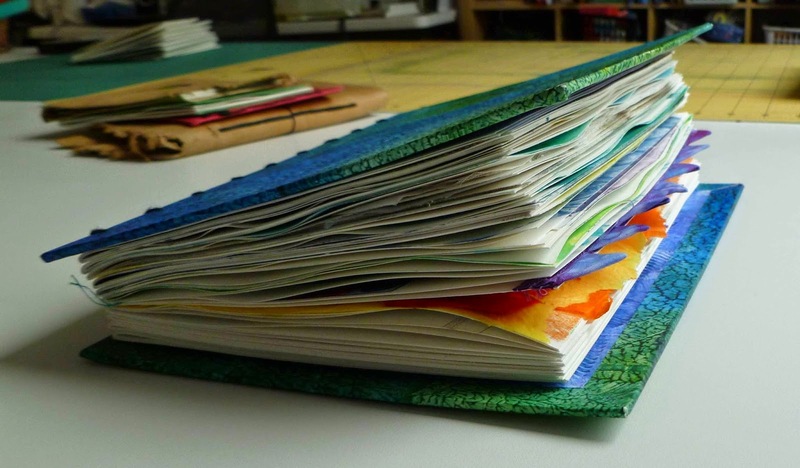 I don't even keep sketchbooks but yours make me want one! Thanks for sharing the ones you've made...they are wonderfully inspiring. Love both the choices for your giveaway, too! I agree, your books are fabulous. I'm in Japan and would like either, if I can enter your giveaway. Thanks! Great fashion show. I, too, like that closure. I have made a few simple and skinny ones. Loads of fun. 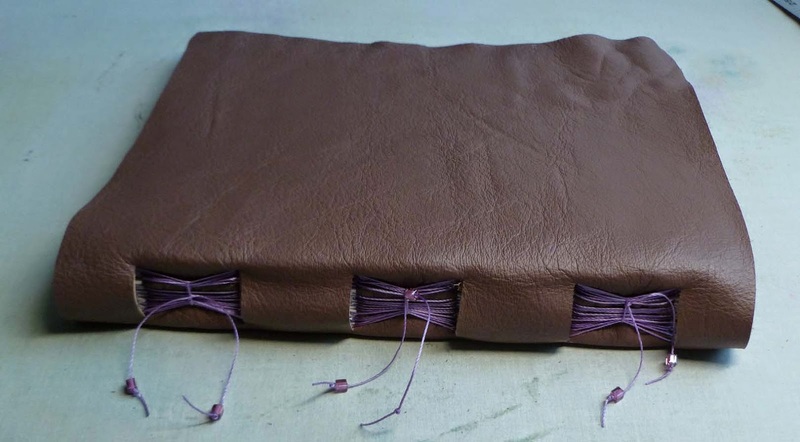 I haven't tried a coptic binding so that would be a great one to have. Thanks for the chance! Love your books Beth and looking forward to your tutorial. Both books are very pretty. If I am the lucky winner you make the choice, okay? 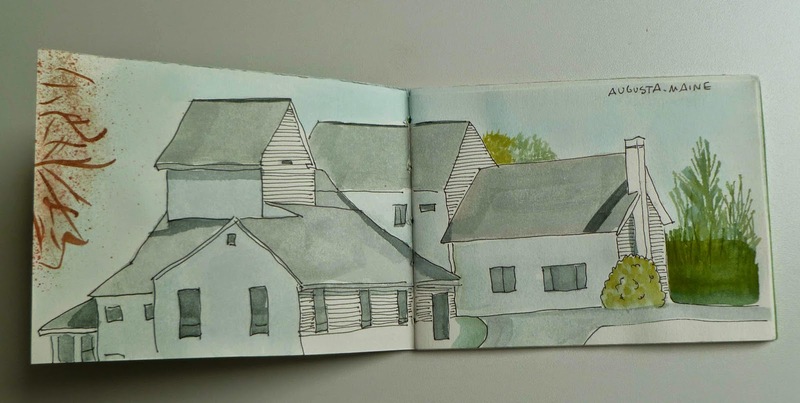 Love seeing the sketchbooks! I'm intrigued by the one where you can take out signatures--I'll be looking at your tutorial. 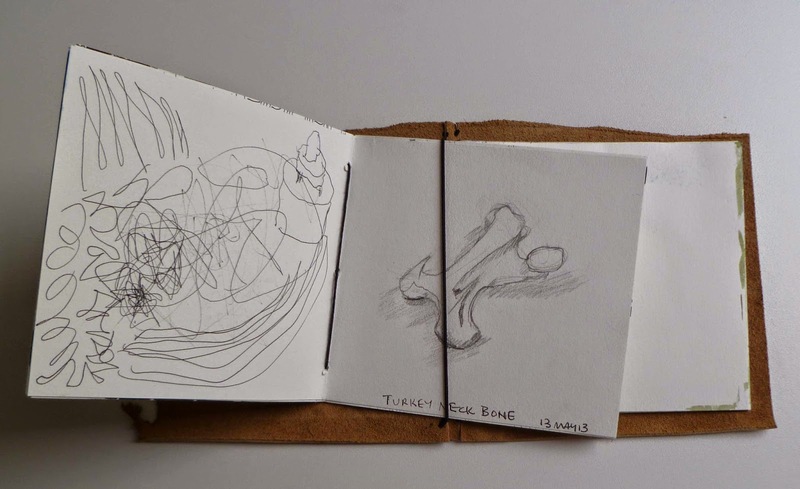 Would love to win one of the sketchbooks, preferably coptic, but would be happy with either. Beth, I'd love the Coptic bound book. Looks great. 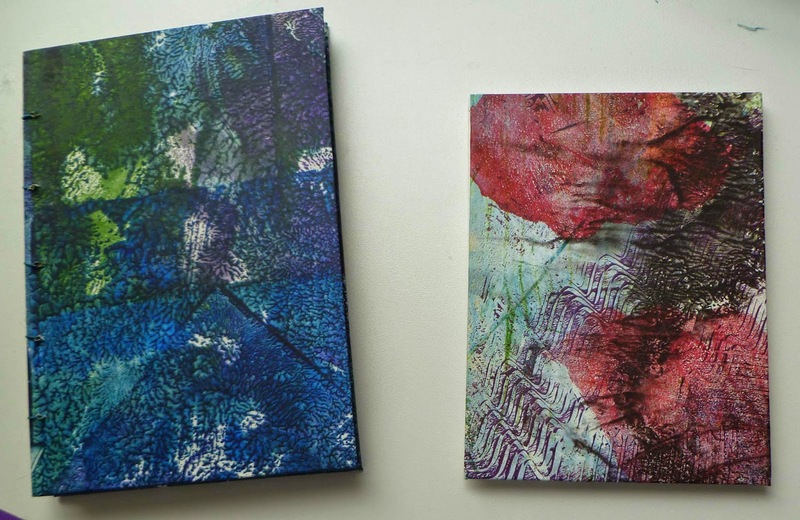 I just gave a dyeing workshop yesterday, so perhaps I should make my own with all the hand dyed fabric I've been accumulating. What artist wouldn't like to endure this fabulous fashion show?! Thank's for sharing your wealth of knowledge. You are one talented woman! Suffered through??? I found it fascinating and that was before I even knew you were offering a chance to win something. I would choose Coptic because I'm less familiar with that binding and I'd love to have an example of it.